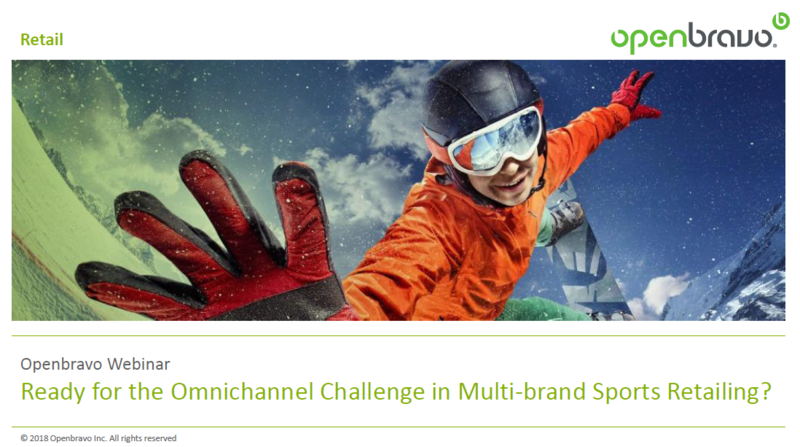 Presentation: Ready for the Omnichannel Challenge in Multi-brand Sports Retailing? Sporting goods retailing is one of the most competitive and complex sectors due to changes in purchasing habits, the heightened expectations of omnichannel buyers, the influence of online commerce, especially the Amazon effect, and the growing encroachment from retailers in other sectors, such as traditional apparel retailers selling “athleisure”. Multi-brand retailers face an additional challenge in their relationships with brands, which have seen an opportunity for growth in opening their own stores. These challenges highlight the need for a commerce platform that can help sporting goods retailers adapt to today’s increasingly complex and dynamic environment by providing them with detailed and complete information on their sales. This presentation reviews the main challenges that the multi-brand retail sector faces today such as the changed purchasing habits of omnichannel shoppers, greater assortment complexity, and the growing competition, both online from e-commerce pure-plays and offline from brands that have shifted from being primarily wholesale companies to powerful retail giants. We will explain how Openbravo can help multi-brand retailers compete better in this more challenging environment, by improving the quality of sales forecasts, for example, or making it quicker and easier to introduce new products, or improving customer service with mobile POS. To watch the full webinar which accompanies this presentation, please visit http://www.openbravo.com/resources/webinars/?commid=315641 .